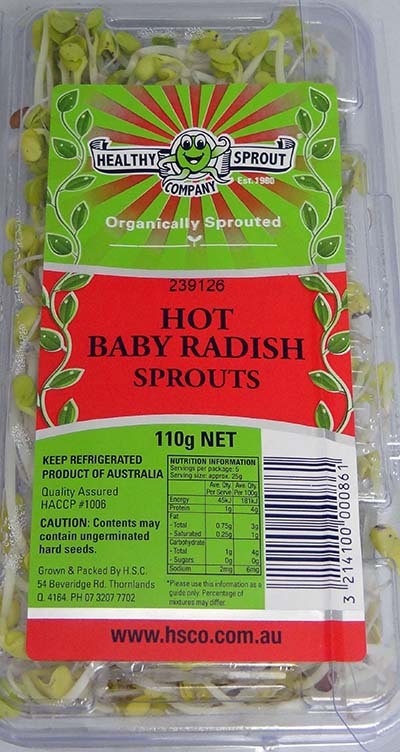 These are sprouts with a distinct radish flavour and are used extensively in Japanese and other Asian cuisine. 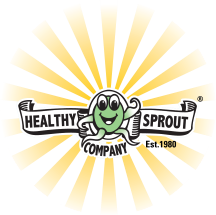 Radish Sprouts are a good source of vitamin A, B vitamin group and have 29 times more vitamin C than milk and 4 times the vitamin A C, calcium, fibre, folic acid, iron, magnesium and protein. Similar to other sprouts, they can be added to sandwiches, salads, and stir-fries, adding a crispness and mild taste to the other ingredient flavours. 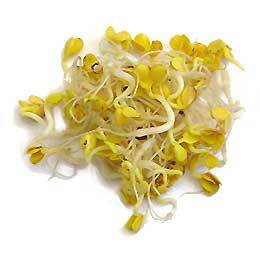 Since they are very delicate, radish sprouts can only be heated for 20 to 30 seconds before wilting. Crumble the feta into a bowls Add the pistachios, sprouts and tomatoes. Stir to combine. Using a wide blade vegetable peeler, peel ten long shards from the cucumber. Discard the first peel. Cut remaining shards in half crossways. Place two teaspoons of the mixture on the end of each cucumber shard. 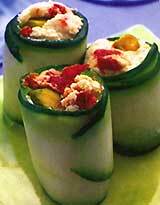 Roll cucumber around the mixture. It should stay together but may need a toothpick.